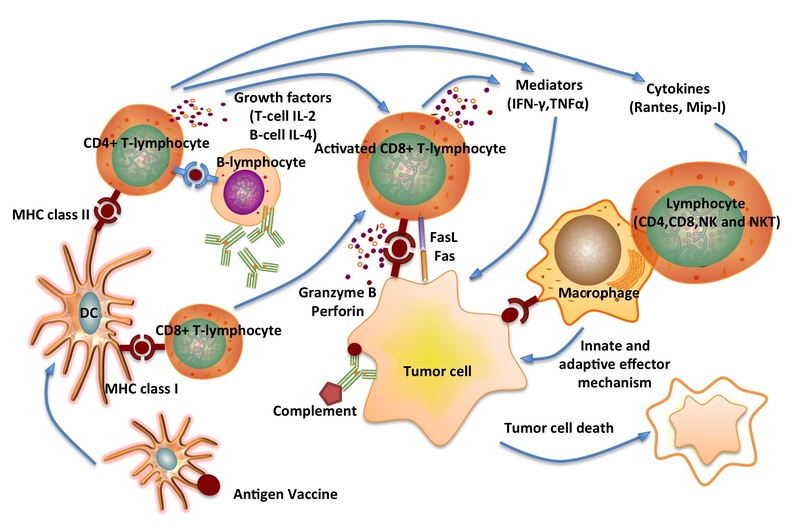 Challenges in Development of Cancer Vaccines: It is one of the most difficult jobs to generate immunity or design vaccine against cancer in comparison to pathogens, since cancer cells are part of our body. Due to cross reactivity, it is difficult to design vaccine against cancer. In addition, the studies show a wide variation in genetic profile of cancer patients, which further complicate the situation. Advancement in Technology: In last two decades, there is a tremendous advancement in the field of genome sequencing, immunology and in immuno-informatics. Due to advancement in the field of genome sequencing, important genes of more than thousands of cancer cell-lines have been sequenced. Generation of immunotherapy against any antigen is routine due to advancement in immunology. Similarly, a large number of web-based servers have been developed in the field of immuno-informatics to predict antigenic or immunogenic regions for activating all arms of adaptive immunity. Cancer-Specific Epitopes: This module is designed to identify "antigenic/epitopic" regions suitable to design vaccine against a specific type of cancer or cell line. Basically, it is a database of epitopes (B-cell, T-helper and CD8+) generated from around 60 cancer vaccine targets belonging to 905 cancer cell lines. A large number of web-based tools has been integrated to retrieve desired epitopic regions. Partially Personalized Immunotherapy: This module is designed to identify best vaccine antigen or epitope for a patient based on genome profile of its cancerous cells. In this module, server compares cancer genome of a patient with reference human genome and identifies epitopes in mutated region of cancer targets. Fully Personalized Immunotherapy: This module allows the users to compare genome of normal and cancerous cells of a patient. Finally, it predicts epitopes that will activate immune system against cancer cells and not against normall cells of a patient. This will minimize cross-reactivity of cancer targets.